ALEXA, how many days until Christmas? 35 days until Christmas Day. I think this may be my fave new feature on Alexa as well as the ‘Tell me a Harry Potter fact’, she really is good to me! Christmas fever is well and truly in full swing for me already, and it’s a first for me as I’ve already managed to get a good 50% of my Christmas shopping sorted. I know that they’ll be certain things that are always left to the last minute though like secret Santa presents and those neighbours or friends that you receive unexpected gifts from and have to whip a gift up from nowhere. Every. year. It’s those penultimate days to Christmas that you have no time to pop into town and heavily rely on the fact that some of our favourite online stores do next day shipping. What would I do without you? To get the Christmas festivities on my blog underway and so that you have plenty of time to prepare, or perhaps want to bookmark this post until the last minute like I would, here’s 30 last minute Christmas gifts for her under £30 that any girl will love! 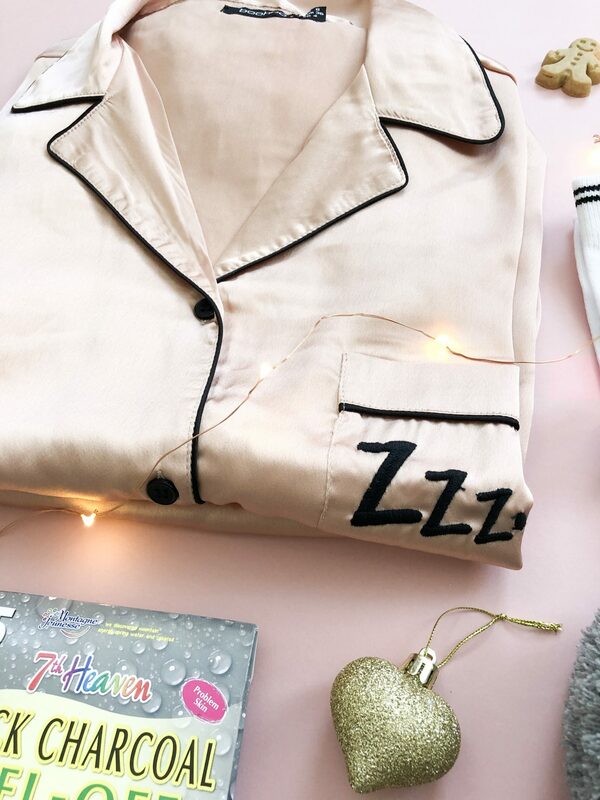 1.PJS – It’s like socks and shower gels, a girl can never have enough and these satin zzzz pjs* literally speak to me. They’re the softest, sassiest pjs and there isn’t a nicer Christmas tradition than wearing new pjs on Christmas Eve, ahh. 2. Another Christmas jumper to add to your girls collection because 20 is already not enough. I particularly love this Reindeer & Snowflake Christmas jumper. 3. Scrunchies, hair accessories, towelling turbans – its all the things we never have enough of, we always lose and are an absolute essential. If you’re getting a present for under a fiver, you can afford to get something else extra to go with something like this. 4. Lets face it, we’re all embracing the Pat Butcher look this year with the tassel earring trend that has taken the world by storm, never saw that one coming. Even if you don’t wear them, they look cute in flatlays too, huh? 5. Buying for a festival loving gal? You can’t beat getting her a classic bumbag for next years antics. 6. A little highlighter palette to make her shine even brighter, excuse the pun. 7. Face Masks – The perfect little stocking filler or secret Santa present if you’re confined to a budget of £5 and under. 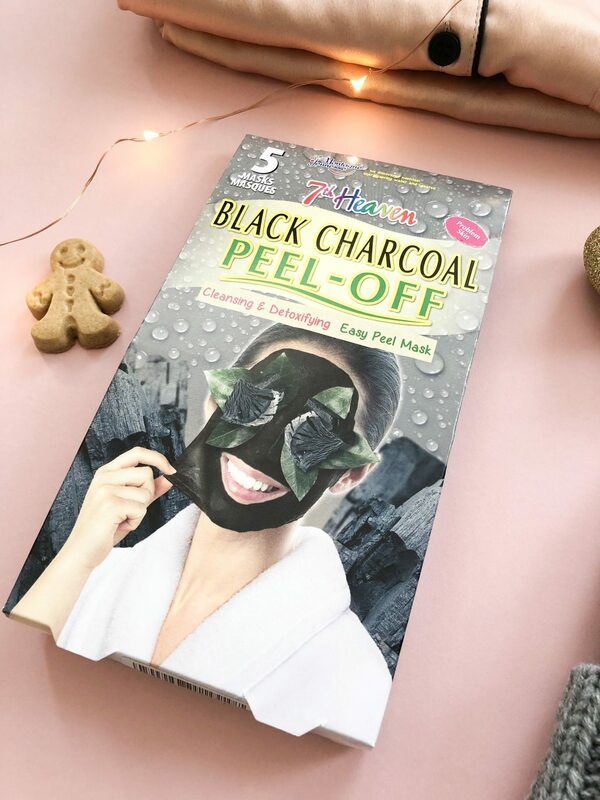 These black charcoal peel off masks* are insane – pamper sessions at Christmas are the best. 8. NO, YOU’RE TIRED. We’d all secretly love to receive some dark circle eye patches huh? With upcoming Christmas parties and plenty of late nights, it’s the gift that keeps on giving! 9. Forget slippers, SEQUIN SLIPPERS exist and it’s the perfect gift for that extra bougie queen in your life. 10. Putting together a self care package or a beauty hamper? Don’t forget some treats for her feet, these exfoliating foot socks are the perfect little extra. 11. For the party girl, false eyelashes are a must, especially when they’re under £3! Team with a lippy or a bit of sparkle for the ultimate Christmas party essentials. 12. Bring back her uni memories with the ring of fire game – the official cards that don’t require you to search google on your phone for the instructions every.time. Thank me later! 13. An actual Cookie Monster dressing gown for under £30! The cosiest gift, don’t forget to team it with a pack of Maryland cookies if you want to be totally authentic. 14. How did I not know that Christmas headbands existed, I kinda need this glitter antlers metal headband for myself. It’s enough to say you’re in the Christmas spirit on a night out without having to drag out the Mrs Claus outfit again that you’ve been wearing for the last 6 years. 15. 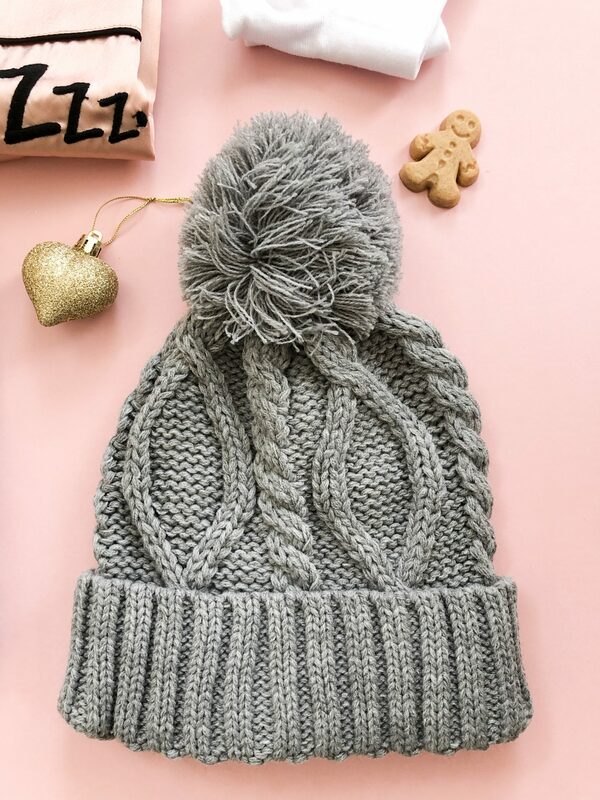 Bobble hats* – chunky knit cosy hats for those wintry walks in the lull between Christmas and New Year. 16. Mixed earring sets – because you can never go wrong with more earrings. 17. Maybe not one for the office colleague you’ve only just met, but a black head remover tool has even, *definitely* got me interested! 18. For the girl who left her heart in Ibiza this summer, a glitter pot is an absolute must. 19. We all have that one friend that is late to EVERYWHERE. Make the hint in the most stylish way with this rose gold classic bracelet watch – all the heart eye emojis. 20. A tote bag so she never has to buy another 5p plastic bag again, and a must have for the Disney lover. 21. Bath fizzers are a great Secret Santa/stocking filler extra, they’re under £5 and come in the cutest Christmas themed packaging. 22. I once created a little flatlay props present for my blogging friend with quote cards, rings and fairy lights, it’s such a different idea that will be loved by the Instagram obsessed. 23. Under £15, a sequin clutch provides the perfect festive item that she can use for the works Christmas party and drinks during the festive season. 24.Obviously, a pair of socks* are the total fail safe last min stocking filler, secret Santa or sack stuffer – ones with cute slogans on are a must. 25. For the work colleague that you’re constantly messaging, ‘I’m bored’ and ‘I can’t wait to go home’ – a game of desktop ping pong will keep the boredom at bay. 26. A beauty bauble that doesn’t cost more than £10, Christmas gifting sorted! 27. JOMO – an excuse dice is the only excuse we need to cancel plans, at least it will be a different excuse each time. 28. A camera key chain for the photographer *cough* Instagram addict in your life. 29. This one goes out to the colleague that is ALWAYS borrowing your hand cream, now she can have her own. 30. Last but not least, we can’t forget the four legged pooches in our lives! A Christmas Dog Jumper is an essential and I’ve already bought my favourite girly poodle a Mrs Claus outfit for Christmas, dogs don’t ask to be put on this planet so we just gotta do the best job at looking after them that we can! I hope this post has given you some inspiration for those last minute gifting conundrums that we all inevitably face! Have you started your Christmas shopping yet?